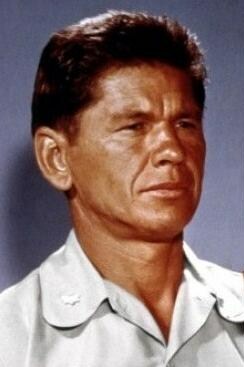 In 1943, Bronson left his job at the mine and decided to serve in the United States Army, responding to his America’s call to arms with World War II already in full swing. 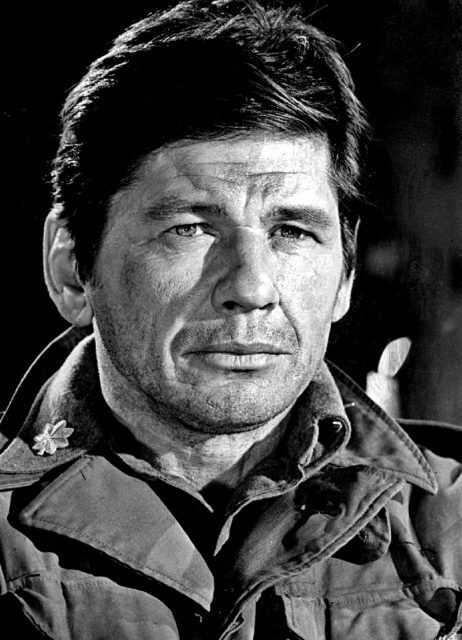 Originally known as Charles Dennis Buchinsky, Charles Bronson was born on November 3, 1921, into a Roman Catholic family with Lithuanian ancestry. He was born in Ehrenfeld, Pennsylvania, within the coal region of the Allegheny Mountains, an area that stands to the north of Johnstown, Pennsylvania. Bronson was one of 15 children in a very poor family. In some stories that have been told about him, it was said that his family was so impoverished that one day he went to school wearing one of his sister’s dresses because he had no clothes of his own that were fit to be worn. As a teenager, Bronson learned the English language, having already been introduced to Lithuanian and Russian. He made family history as the first person from his family to graduate from high school. Bronson’s father died when Bronson was ten years old. During the following years, he had to labor in the coal mines to keep himself and his family afloat. At first, he worked in the mining office before he transferred into the mine. Bronson was paid a dollar for every ton of coal he successfully mined, which was very little, even at the time. However, he worked at the mines for eight years. In 1943, Bronson left his job at the mine and decided to serve in the United States Army, responding to his America’s call to arms with World War II already in full swing. 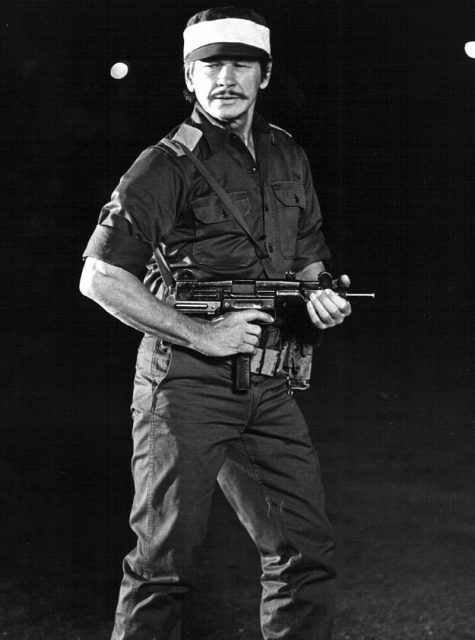 He was 18 at the time, and the army would mark the beginning of new things for Bronson. Some sources insisted that Bronson never flew as a bomber gunner in WWII but rather drove a delivery truck for the 760th Mess Squadron in Kingman Arizona. However, his colleagues and people with information came out to defend him saying that he flew as a nose gunner and not a driver in the squadron, leading to apologies from US newspapers. The late war veteran was a private man who rarely spoke about his war experiences. He enlisted in the United States Army Air Forces and first served in the 760th Flexible Gunnery Training Squadron. It was in 1945, when Bronson served as a Superfortress aerial gunner with the 61st Bombardment Squadron in Guam, that he was involved in combat missions against Japan. 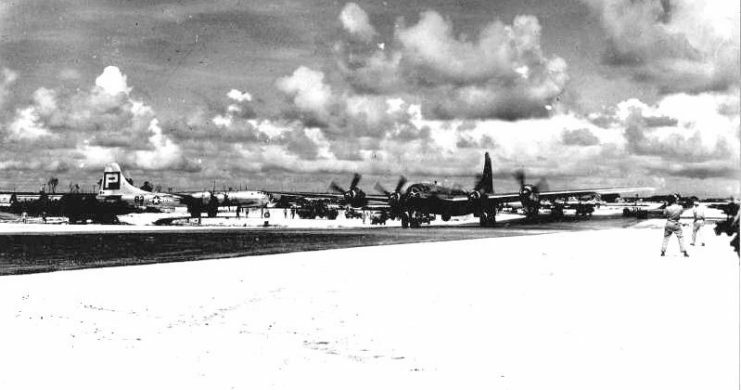 The 61st Bombardment Squadron was within the 39th Bombardment Group, and while serving with this unit, Bronson flew 25 missions, many of them fraught with danger. On one of those missions, he was involved in combat and sustained injuries to his arms. The aftermath of this engagement altered the course of his life. For the injuries he sustained in service, he was rewarded with the Purple Heart and eventually retired from the Armed Forces. Bronson was not what you might consider a star of WWII. He was just a soldier doing his duty, a duty into which he may have been pushed by the lack of many other options in his life. But he did the best he could, and the Purple Heart he received attested to the fact that he put his country before himself in his three years of service. After the war, Bronson decided to make the most of the opportunity he got from the United States Army. Using the funding he got from the GI Bill, he studied art and decided to move into acting. The transition was not as smooth as he had envisioned it, and he found himself sharing the same apartment with Jack Klugman. Both of them held high hopes of acting on stage one day. It was during this period that he did a few small jobs, including being a set designer for a theatre group in Philadelphia, Pennsylvania. Charles Bronson in the film X-15 (1961) – publicity still. In 1949, Charles got married to Harriet Tendler whom he had known when both were budding actors. Harriett’s father provided some support while they both pursued their acting careers. Bronson had two children with Harriet. The marriage lasted for 15 years, and they divorced in 1965. Three years later, Bronson got married to Jill Ireland, an English actress. Bronson’s first movie roles were uncredited ones. One such movie in 1951 was You’re in the Navy Now, directed by Henry Hathaway, in which Bronson played a sailor. The name “Charles Bronson” would have not come into being if not for Senator Joseph McCarthy and the Second Red Scare of the 1950s. The Red Scare followed on from the end of WWII. There were increased fears of espionage activities from communist nations, particularly the Soviet Union. The situation was aggravated with several known people in the US government confessing to being spies for the Soviet Union. 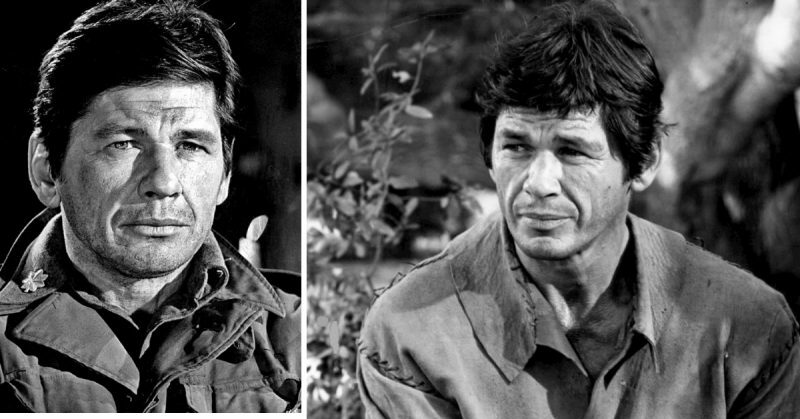 To save his career from getting caught in the crossfire, Charles Buchinsky changed his name to Charles Bronson. 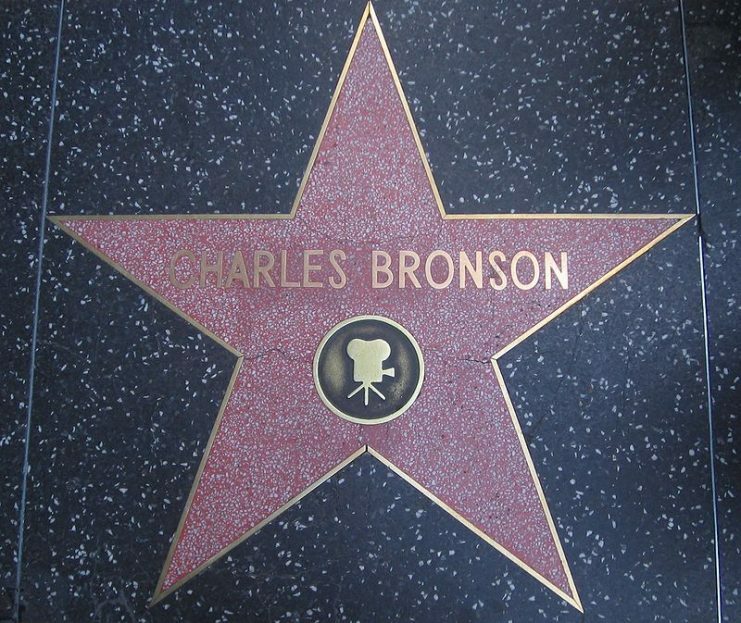 Bronson would go on to become one of the highest paid actors in the industry in an inspiring “from rags to riches” style. Despite his war injuries and the trauma he dealt with, he still went on to pursue his dreams. Read another story from us: The Duke or The Draft Dodger? 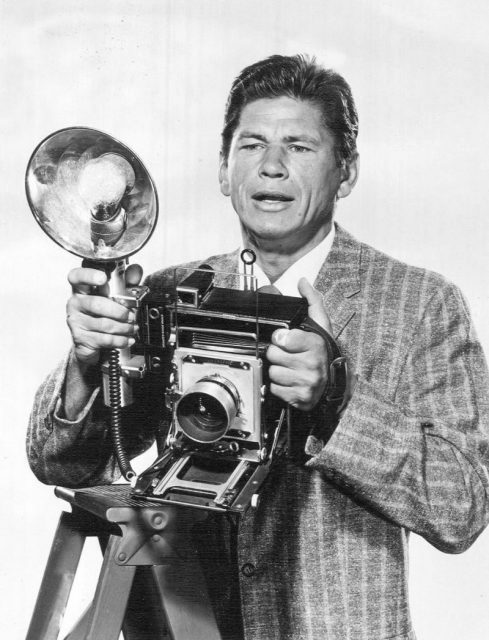 Bronson died when he was 81 years old in 2003 after undergoing hip surgery five years beforehand. The causes of his death were cited as respiratory failure and metastatic lung cancer. He was buried at Brownsville Cemetery, in Vermont. Although the tough man actor Charles Bronson is deeply missed by his many fans, the real story of Charles Dennis Buchinsky will always be an inspiration to those lucky enough to hear it.